In Football We Trust is an insightful and moving documentary feature film exploring in rich detail the remarkable story behind the Polynesian Pipeline to the NFL. A contemporary American story, the film transports viewers deep inside the tightly-knit and complex Polynesian community in Salt Lake City, Utah, one of the chief sources for the modern influx of Pacific Islander NFLers. With unprecedented access and shot over a four year time period, the film intimately portrays four young Polynesian men striving to overcome gang violence and near poverty through the promise of American football. Director, Tony Vainuku comes from a culture of third world traditions and a family of athletes. In junior high however, between his different entrepreneurial endeavors and entertainment aspirations, Tony found his true passions lay in business and the arts. He studied business marketing at Westminster College for the purpose of learning how to build businesses around his passions of creative directing, writing and filmmaking. After graduating with a B.S. in Business Marketing, Tony founded a multimedia company called Soulprofile Productions, which specialized in creative directing, video web ads, music production and other promos. 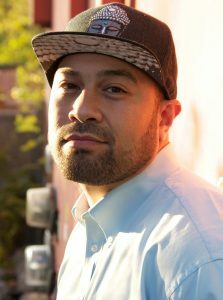 Tony recently finished directing his first feature length documentary, “In Football We Trust,” a five year project telling the stories of four Polynesian football players struggling to overcome gang violence and poverty in a world of high stakes recruiting and family pressures. In addition, Tony founded and launched the Soulpro brand in 2011: a lifestyle apparel brand built on the philosophy of Passion is Purpose®. In its three years of business, Soulpro has grown across the western United States and been actively involved in collaborating with and promoting hundreds of musicians, artists, athletes and entrepreneurs. Erika Cohn grew up attending the Sundance Film Festival as a native Utahan, where she first began her career. Although her films differ in place and time, her fascination with religion and culture remain a reoccurring theme and her passion for social change the driving factor. In 2008, Erika traveled to Cambodia where she shot “Giant Steps,” a documentary about the reinstitution of art after the Khmer Rouge rule, which aired on PBS. In 2010, Erika associate produced the Frontline/American Experience series, “God in America,” a six-part historical series on our nation’s relationship between religion and politics. Erika has received numerous accolades for her work, including a Director’s Guild of America award for her film, “When the Voices Fade,” a narrative profile of the Lebanese-Israeli war of 2006, and recent admission into the CPB Producer’s Academy. Erika has been a featured panelist/ speaker at various film festivals and university conferences regarding independent film financing and mentors youth filmmakers across the globe. She attended Chapman University in California where she graduated with degrees in Film Production and Middle Eastern Studies. 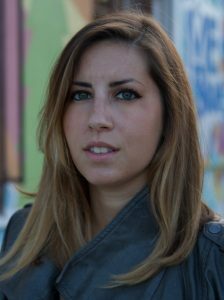 In addition, Erika is an avid documentary photographer, shooting primarily the lives of women in conflict zones, and serves as a US Ambassadorial Film Scholar to Israel/Palestine. She currently has two films in development through Idle Wild Films, Inc.